I liked this novel. 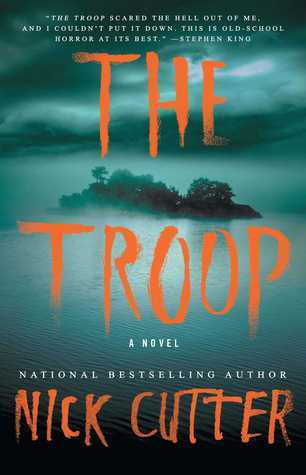 I repeat: I really, really liked this novel. 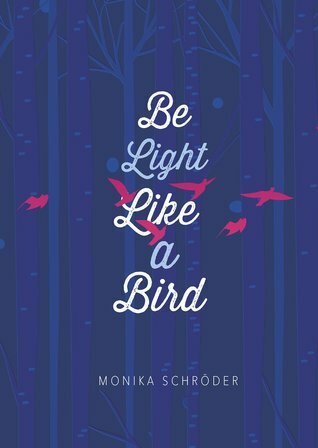 “Be Light Like a Bird” is the story of a 12 year old girl named Wren who loses her father in an airplane crash. Before she can grieve properly or come to terms with his loss, her mother burns all of her father’s things and moves them to Tennessee, and then several weeks later to Ohio. They finally settle in Michigan, where she makes friends with another outcast, a bird-watching boy named Theo. Their friendship has a healing effect on Wren, as well as the discovery of the potential destruction a pond where the birds they love to watch congregate. This is a really great story for young readers. The chapters are short, and it deals frankly with grief and the loss of a loved one. I totally would recommend this to anybody though, it really was that good. Oh, this book is just flat out wrong. Where do I begin? First of all, this book had a lot of potential. It’s the story of Andre Battel, a Jamaican-American boy growing up in the urban center of Boston around the 80s and 90s. We follow him from around age 7 or so until his late teens, though the way the story is written, it’s hard to tell. We also follow his very dysfunctional family during the same period: Eddy, his unemployed, drug-addled, and absent father, Nina, his sister, and Ruby, his saintly, long-suffering mother. There is a host of extended family as well, an aunt and his grandparents, who live upstairs from the ongoing Battel family drama. 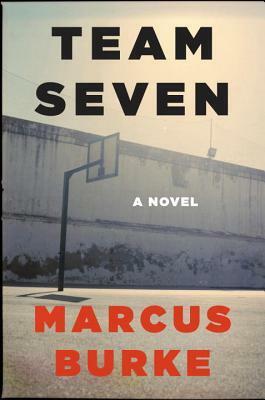 Around the age of 9 or 10 (I assume), Andre falls under the influence of a neighborhood drug crew of older boys, eventually becoming their seventh member (hence the title, “Team Seven”). He comes of age in a violent street culture–selling and smoking shitloads of marijuana, doing poorly in school, fighting, treating girls like garbage (along with a misogynistic attitude to boot), and beefs with his dad. The one thing Andre is good at his basketball, which he plays in city leagues with a reasonable amount of talent. He continues this sport until he is a teenager, looking for a way out of his twisted home life. There are shifts in voice and time here, and that’s where the problems start. In the beginning there’s a young Andre, though as he grows there’s no kind of context of his age or any indication of how much time has passed. It’s just a kind of chapter to chapter ‘snapshot’ of Andre, with no backstory. He speaks and thinks in a heavy street dialect from the 90s and the 2000s, though other period indications in the book don’t seem to match. For example, there’s the mention of a lyric from Outkast’s “ATLiens” album (which came out in 1996), though several pages later there’s the appearance of a paragraph-length, perfectly grammatical cell phone text. Any genius will tell you that there were no such cell phones with such advanced texting capabilities during this period. The novel also starts with multiple narrators: there’s Andre’s dad Eddy, mom Ruby, and one of the members of Team Seven. They each get a small sections in the beginning and, other than one other narration by Eddy later in the book, are never heard from again. Why have other characters narrate at all if it’s not continuous? Hmm. And then there’s the members of Team Seven, who, other than two main characters of which are continuously mentioned, we don’t know much about. While we know they’re older that Andre, how old are they? As I said before, the lack of structured detail to the timeline here is terribly confusing. The author also mixes up Andre’s narration in present and past tenses, depending on what chapter you’re reading. Is Andre currently in the action, or far beyond it, reflecting on the past? This is unclear and inconsistent. This book had potential, but the rookie-ness of the mistakes here are glaring and detract from the overall cohesiveness of the story. I’d read, but only with caution. It’s the summer of 1965, and Ruth Malone’s two young children, Frankie and Cindy, mysteriously disappear from her apartment in Queens. Cindy’s body is found several hours later, and Frankie’s is found after several weeks, unrecognizable due to decomposition. Ruth, a single mother, is recently separated and in a custody battle with her husband, Frank. The police (all male, of course) find empty liquor bottles and letters to married men in Ruth’s apartment and immediately suspect her of the crime. In their eyes, she is an unfit mother, dressed provocatively, and hardly grieving. Ruth is trailed day and night, all while she continues to frequent night clubs and date various men, though they don’t see her devastating breakdowns in private. The book is engrossing in the first 75 pages or so, then it shifts a bit. Well, a lot. Enter Pete Wonicke, a young news reporter who, by a lucky break, falls into the Ruth Malone story. Most of what we learn about Ruth’s world after Pete enters the story comes from him as he interviews her various boyfriends, estranged husband, the detectives on the case, and her friends. As the novel continues, it’s more and more of Pete’s POV and less of Ruth’s, which I found super annoying, especially because it’s clear after awhile that he’s obsessed with her. The problem here is that I never really got over the POV shift from the first half of the book. There is a sense of urgency as you read about Ruth and the anguish she feels after the loss of her children. The rest of the book after this is simply not very engaging, nor was it particularly memorable. While I can understand the author’s purpose of detaching Ruth from the story (to keep the suspense going), it’s unfortunate, because such a move was totally at the expense of character development here. There’s so little of Ruth by midway into the book that it’s almost like she’s a ghost. By this point I was so detached from the story I wanted to put it down completely. I did manage to read it until the end because I did want to know who killed the children, and when that’s revealed in the final pages of the book, I wasn’t impressed. 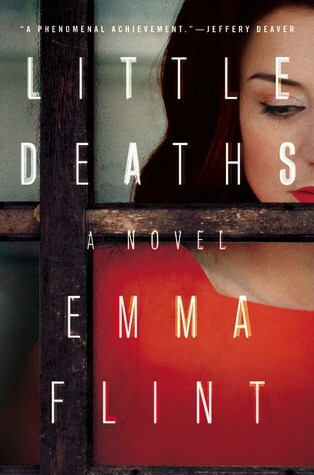 I can say that I loved Emma Flint’s sense of setting and the period detail of this book. I was surprised to discover on the back flap that she is British, because this story is so uniquely American-style noir. Not bad overall, and certainly would be open to reading more of Emma Flint in the future. Beautifully written book, but man oh man…this is so, so boring. 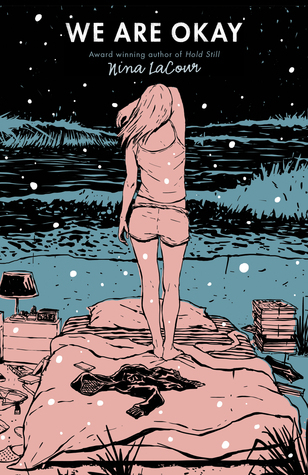 ‘We Are Okay’ is the story of Marin, a girl from California with no immediate family, so she decides to spends her winter break alone in the dorm after everyone has gone home. Marin is visited over the break by a friend from her hometown, Mabel (all of this occurs before Chapter 3, btw). The rest of the book is flashbacks on her life back in California over the previous summer, uninteresting conversations with Mabel, and getting to the bottom of why she took off abruptly before the semester started and left Mabel hanging with a bunch of unanswered texts (yikes!). Add to the mix tons of minutiae such as: two girls shopping for clay pots, eating chili, doing the dishes, wiping plates. So many details and not much of a story arc here. I would say screw that, this is a character study, but neither one was really all that interesting. As I said before, the book is beautifully written. The only reason I didn’t nix it is because something in the writing compelled me to continue. Without giving too much of it away, it is clear that this is a YA book about grief and loss, though there’s not much stated here on the subject that we haven’t already heard before. If you like ‘quiet’ reads, this is the book for you. I won’t be mad at you for liking it either. Started off a bit slow, with Scoutmaster Tim Riggs taking five boys into the wilderness for their annual camping trip on Falstaff Island, a remote outpost near Prince Edward Island. On their first night, a very hungry stranger enters their camp. He isn’t well. He is unknowingly infested with a horrifying efficient, genetically modified parasite, which eventually takes each character to the brink of their own survival. Now I will admit that there were some parts of this book that I didn’t want to read so I skipped it (i.e., scenes of self mutilation, a particularly detailed account of the torture of a cat, etc). Otherwise I didn’t find this book as gory as some other online reviewers have. I guess it’s a matter of personal taste. Otherwise it’s a great novel, with echoes of some pretty classic works–Stand by Me, The Lord of the Flies–all throughout. If you like old school, 1980’s era Stephen King-esque horror, then this book is for you.